At Arizona Smile Designers, it’s our goal to give all our patients in and around Sedona and Cottonwood, AZ the ability to have a beautiful and healthy smile. However, sometimes simply brushing and flossing isn’t quite enough to make sure that your oral hygiene is at its peak. That’s where we come in! Our expert dental team is proficient in preventative dentistry and is capable of providing the treatments needed to make sure that your smile will last a lifetime. We utilize both tried-and-true methods and also the latest of technology in preventative care to guarantee that your teeth remain healthy. Tooth decay is essentially the damage that occurs when germs and bacteria in your mouth create acids that eat away at your tooth enamel. This is problematic because this will create cavities, cause pain and infection, and possibly even end up in the loss of teeth. As your trusted Sedona and Cottonwood, AZ family dentist, we can apply fillings to treat these cavities, but even better yet, we can recommend a strong oral hygiene regimen to make sure that these cavities don’t occur in the first place. Visiting us twice a year along with brushing twice a day, flossing, and avoiding foods that are high in sugar or acid is a good way to keep you from developing cavities and save you from having to pay hundreds of dollars in dental bills down the road. One of the most likely places to get a cavity is in the chewing surfaces of the back molars. In fact, studies have shown that around 88% of cavities in American children are formed in these back molars. This is because there are tiny crevices in these surfaces where food particles can easily get trapped and cause tooth decay over time. These surfaces are nearly impossible to perfectly clean, making them a safe haven for enamel-degrading bacteria. A simple fix for this problem is through dental sealants. Dental sealants are thin, plastic coatings that are applied to the chewing surfaces of these back teeth. This coating bonds into the grooves of the chewing surfaces and essentially forms a protective shield over the enamel of these teeth. They’ll prevent food and bacteria from getting trapped and breaking down enamel. Sealants are highly effective and will last several years, though they’ll need to be regularly checked during appointments. Fluoride is a natural mineral that’s found in water, soil, and some foods and beverages. This mineral is vital to the strength and integrity of teeth because it helps prevent against tooth decay and also promotes remineralization (adding calcium back to your teeth to repair early decay before a cavity forms). Fluoride will make your teeth more resistant to acid attacks from the bacteria that’s in the plaque on your teeth. 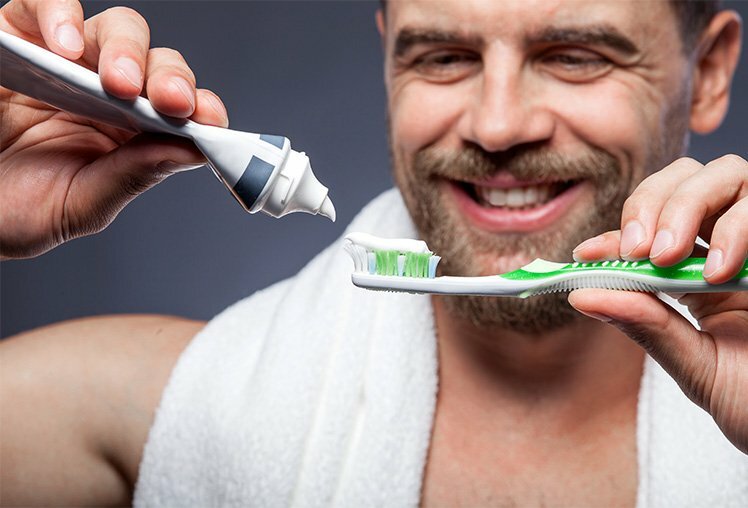 Because fluoride is so important to ensure healthy teeth, we recommend drinking fluoridated water and brushing with fluoridated toothpaste in order to make your teeth more resistant to cavities. If necessary, we can even recommend fluoride supplements for you. For infants and toddlers, thumb sucking is a common and normal reflex that’s performed to comfort and placate them when they’re feeling nervous. This behavior will generally start to subside when their front teeth develop between the ages of two to four. However, if thumb sucking still persists after this time period, it may cause dental problems and misalignment of the teeth. Make sure to let us know if your child is still sucking his or her thumb so we can evaluate your child and work to take measures to fix this problem. If you have any further questions about our preventative dentistry, please don’t hesitate to contact us. We at Arizona Smile Designers are glad to help you with any of your concerns. If you’re interested in scheduling an appointment with us, feel free to fill out our online appointment request form or give us a call at (928) 634-8610. We look forward to helping protect your smile! Like our Facebook page to be informed of current dental updates!